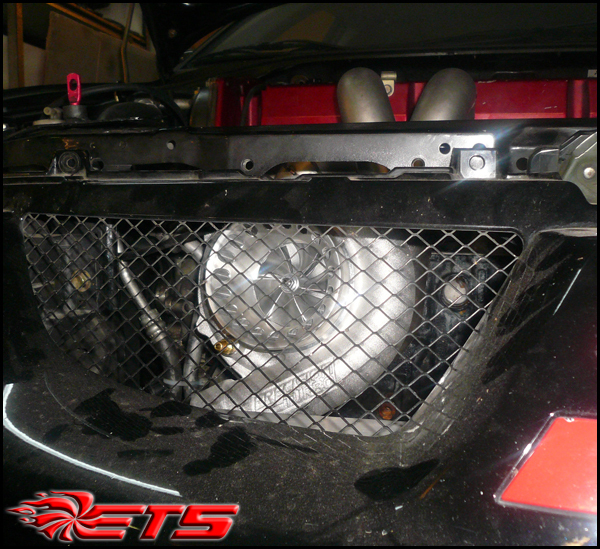 ETS would like to introduce our front facing turbo kit!! Turbo options are Precision Turbo turbochargers and the full Garrett lineup and Forced Performance HTA line. The tubular manifold is 100% built in house by the ETS team and a piece of art in design with a lifetime warranty. Also included is a 3" o2 housing with a V-band connection to the 3" downpipe. 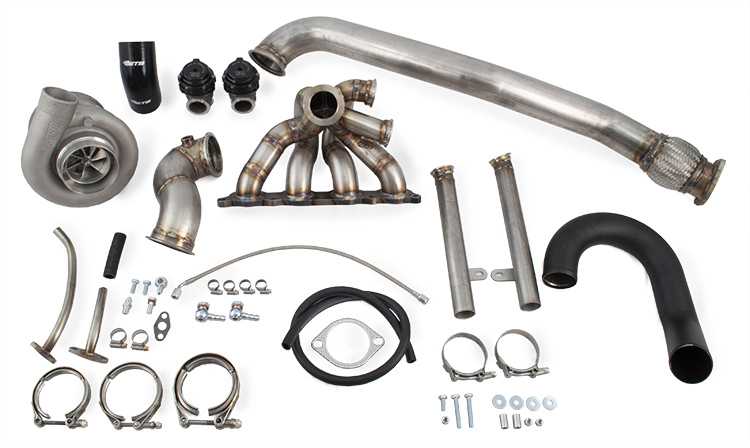 The all-new downpipe includes a flex section for the ultimate in longevity and will bolt directly to any stock or stock replacement cat or test pipe. The included stainless steel braided oil feed line with AN fittings ensures that you never deal with a ruptured feed and the danger a broken oil line presents. The oil drain solution is flanged at either end with both hard pipes joined with heavy duty hosing for a worry-free installation. Coolant lines are also included and painlessly mate with the factory connections. As with all of our products, this kit carries a lifetime warranty (90 days on manifold if coated or wrapped.). We build for quality and almost never have a warranty issue, which is why we can offer such comprehensive coverage on your purchases at ETS.